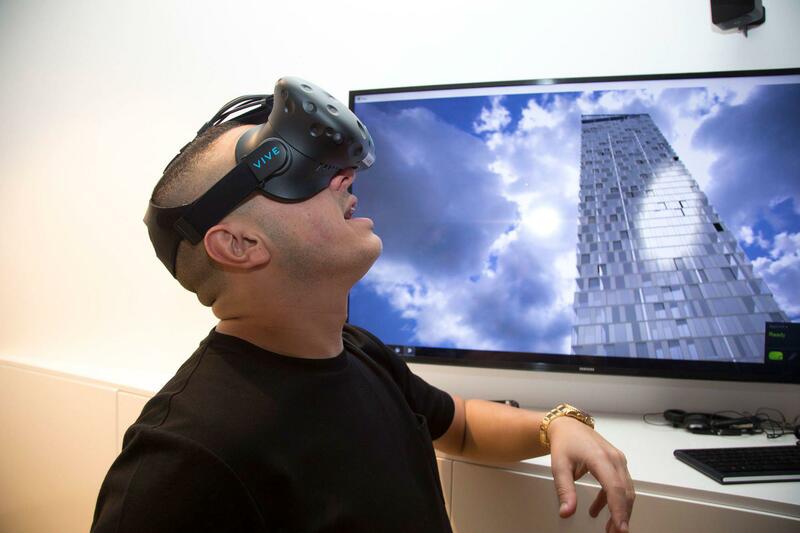 Property marketing is a complex beast – there’s strategy, investment, community development, storytelling, brand placement, digital and social marketing and, as we embrace more immersive technologies, virtual and augmented reality marketing. Great property marketing needs both creativity and clarity. The Urban Developer asked Vince Frost, CEO of Frost* Collective, to unpack the process of successfully marketing a property development. Frost* Collective aims to form a connection which focuses on designing a meaningful connection to place. For Vince, success does not arrive in the shape of awards but a developer’s gravitation toward fresh creative ideas and brand strategy at a time when they need it most. That said, the Frost* Collective are no strangers to the award platform. 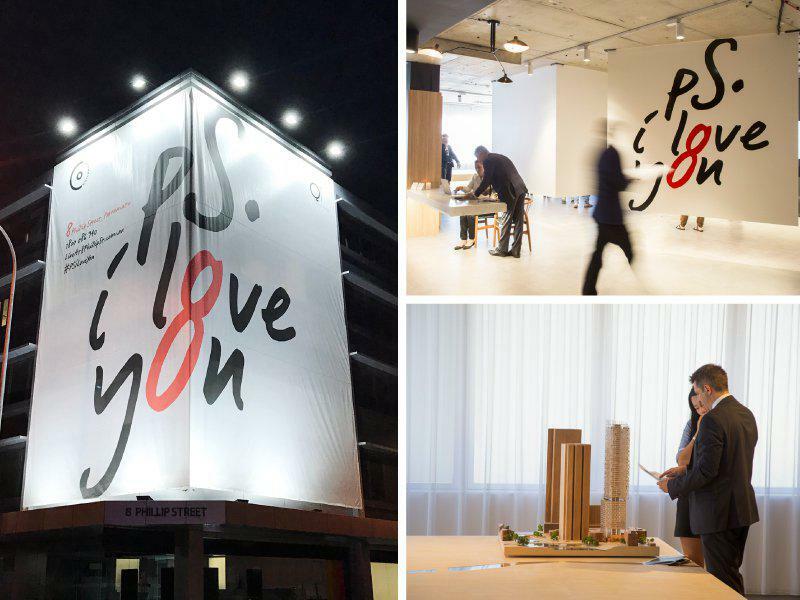 The group’s most recent accolade, the UDIA Excellence in Marketing, honoured the integrated brand marketing campaign ‘PS I Love You’ – a complete scope of work promoting Parramatta’s development, 8 Phillip Street. This was the second consecutive year the Frost* Collective has received this prestigious award with their work on Coronation’s Liverpool development The Paper Mill receiving the 2016 accolade. TUD: How do you create successful property marketing? We focus on adding value through human-centered design that enriches people’s lives. That’s our purpose for being in business, everything we do we want to get to the heart of that. We deep-dive into every brief, into the site, the community – understanding the history, the heritage – what’s been there, what’s there now and what’s to come. The past, present and future. With that in mind, we design towards the truth of the place – this as opposed to imposing a superficial marketing spin. TUD: Your relationship with property development is more involved than simple brand design and identity. What is it about property marketing that resonates so deeply with you? I love creating successful brands, and what I love about property, is that when you create a property brand, you’re creating something that didn’t exist last week. I want to add value to the industry. We’re on a mission to design a better world, and there’s no more direct way to achieve this than by helping to build, promote and market people’s homes. We all have to live in a home. TUD: Define your agency’s role in the property development process? Our job is to help a visionary developer bring their idea to life, to market, through an array of touch points across branding, strategic positioning, advertising, hoardings, designing sales assets, VR, display suites and so on. We encapsulate the vision of the developer, the sensitivity around the architect’s design, landscaping, and generally helping to visualise the future. We deliver this through our businesses Frost* Design, Urbanite, The NEST (Digital/VR). It is important that we connect with the end-customer and understand what their dreams are in life - their ideal lifestyle. With the utilisation of data, we want to bring forward the understanding of who the customer is, to the beginning of the development as opposed to the end. We want to eliminate the guesswork and be more accurate. TUD: What made your work with Coronation Property’s 8 Phillip Street tower development so successful? Joe Nahas, CEO of Coronation originally wanted me to look at ideas for 8 Phillip Street going to market via a double page spread in Domain. He approached me at 5pm that evening and I text him back in an hour with the concept of PS I Love You. I had previously visited and walked around the site over 10 times. I got to know Parramatta, honing in on the site and the reality of the life around it - the pockets of richness – and how this site would be enriched by his 55-storey development including restaurants by Neil Perry, QT Hotel and so on. The addition is incredible. So I came up with the idea of abbreviating the street with PS – the initials of Phillip Street - the potential was great. ‘PS I Love You,’ PS I Love Phillip Street.’ It’s an obvious idea, it sounds elementary, but I began to think about how it would unpack as a social engagement piece with people taking pictures in front of hoarding boards to present to a loved one. It had legs and we instantly went into delivery mode. Within two days of generating the ideas it was in Domain Magazine as an DPS ad. TUD: How influential is the client to the ingenuity of an idea? Great ideas come from working with great clients, and the developer should recognise the same. If they go to the wrong company, they might not achieve the realisation of their vision. For me, I feel a huge responsibility to do the client and the project justice. We pull out all stops. For example, we presented the idea of skywriting and so we had ‘PS I Love You’ written in the sky. We embed ourselves in our clients’ business, come in with fresh eyes, see the potential and realise it. TUD: A solid portion of your clientele is property based. Why have you elected not to position your business as property marketing specific? Clients come to us because of that point of difference, because we work across society. Whether it’s large consumer brands or charity branding, large corporations, broadcast networks, universities, a cancer organisation or the major banks, we touch on every aspect of society. We understand people – what they like, what they don’t like, and importantly, how to connect with them. If we were just a property agency, in time, we may have created a cookie cutter approach to doing things. But we do things differently. If the client is willing to be part of what is sometimes a disruptive process then they’re going to come out on top, they’re going to win the awards. But that’s not what we’re about, we’re not in it for the awards, we’re in it because we truly want to make it right for our client and the consumer buying into the development. We design a stimulus to create a reaction. Property marketing success is about creating a desirable, compelling new home. We’re invested in delivering quicker sales, more significant recognition in the marketplace, talkability and something that people are really going to gravitate towards. That’s what we’re about. TUD: A prime example of such success – a designed stimulus that created a (two-hour sellout) reaction – is AMP Capital’s Loftus Lane development. What made this a successful project? 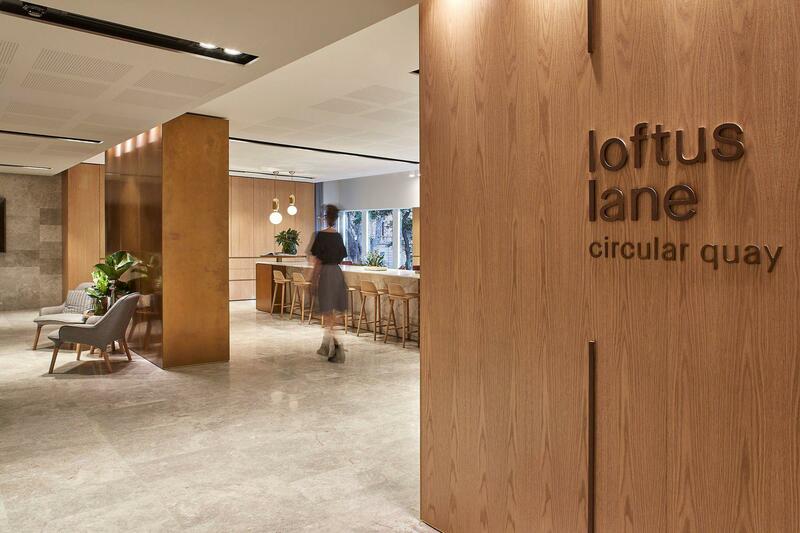 This outcome was part of a much bigger relationship with our strategy team working with AMP Capital over five years on their development around Circular Quay - the strategic positioning, the naming and the branding. It was about an ongoing relationship unpacking and delivering on AMP’s vision and the evolution of that over time. Getting close to the architects, the interior designers, understanding the customer, the location deeply, and then creating the vision for people to connect with that. There are so many passionate people involved on a project of this size and scale. It’s our job to help piece the collective vision together to create a successful outcome for the client. TUD: A property downturn is forecast for Sydney, are you concerned by how will this affect your business? With the prospect of a downturn we will be challenged to work harder at how we can sell better. The fact that property is becoming unachievable for a lot of people is not a good thing. But it’s the stimulus that has prompted people to look at affordable housing – they’re asking the question, ‘How do we create a successful outcome for everyone?’A successful outcome doesn’t have to be one-way. Developers are becoming more focused on doing the right thing, which is great. We only want to work with clients genuinely interested in adding value to the world and society. The Urban Developer is proud to partner with Frost* Collective to deliver this article to you. In doing so, we can continue to publish our free daily news, information, insights and opinion to you, our valued readers.